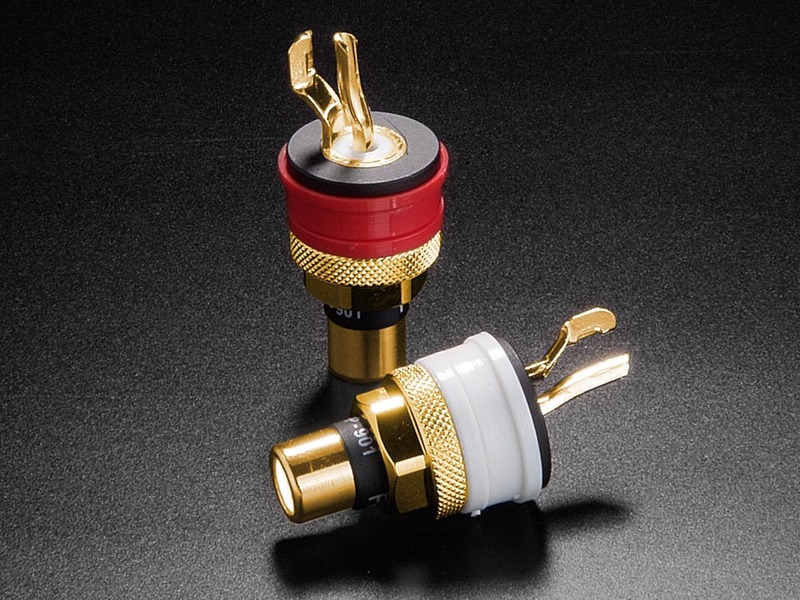 The Furutech FP-901 is the finest RCA socket we have ever offered. Both the inner contact and return are milled from a single piece of pure Copper. The FP-901G is offered with a direct 24k Gold plate . These connectors are subjected to several treatments including cryo. Mounting Insulation set--- Nylon(Red, White)17.3± 0.1mm diameter X 7.3mm± 0.1mm thick, 39.0mm± 0.1mm overall length.